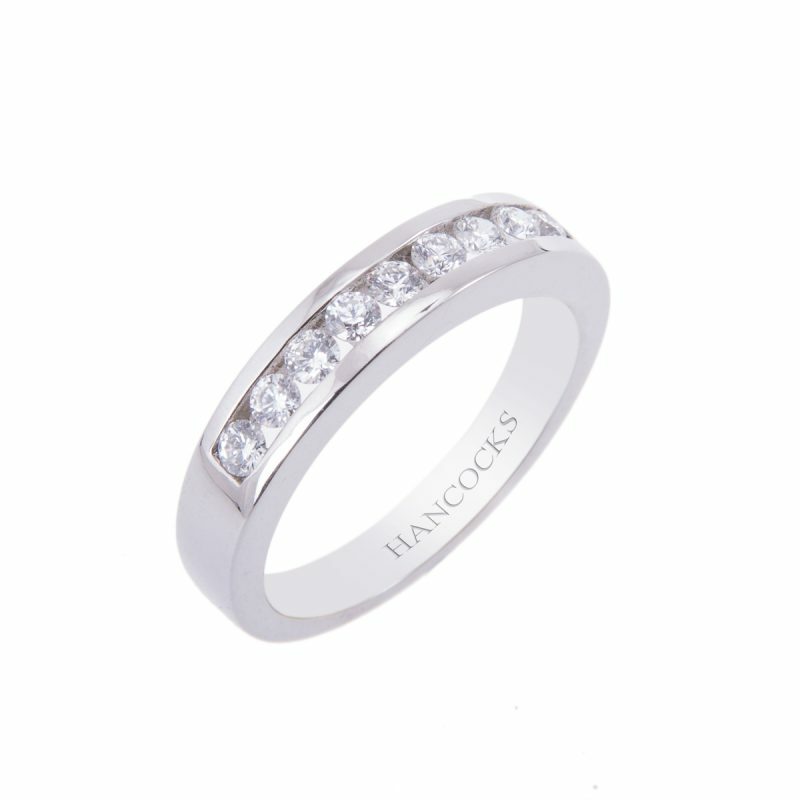 A sophisticated ladies diamond set half eternity ring mounted with a single row of 9 brilliant cut diamonds. This beautiful ring has been hand crafted in platinum and mounted in a secure channel setting whose high polished finish simply shines. 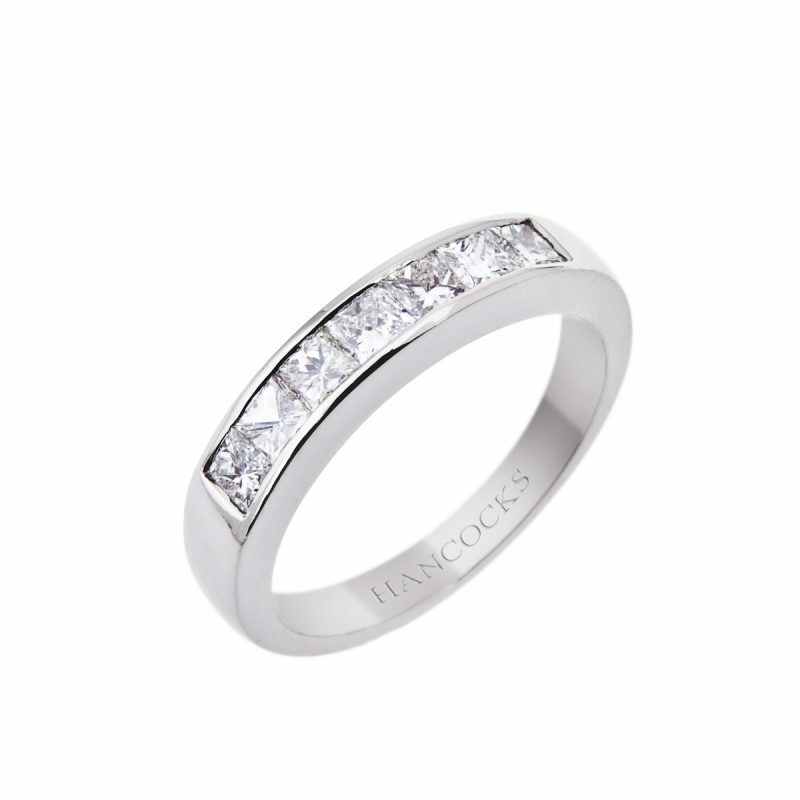 Its timeless yet contemporary design is perfect for that special occasion or significant anniversary.